Balancing business income with expenses is a difficult task at the best of times and can be overwhelming if you’re facing a pile of bills or a major decision for the future of your company. The regular costs of doing business take up a large chunk of your income, leaving little remaining to cover unexpected payments or invest in growth. 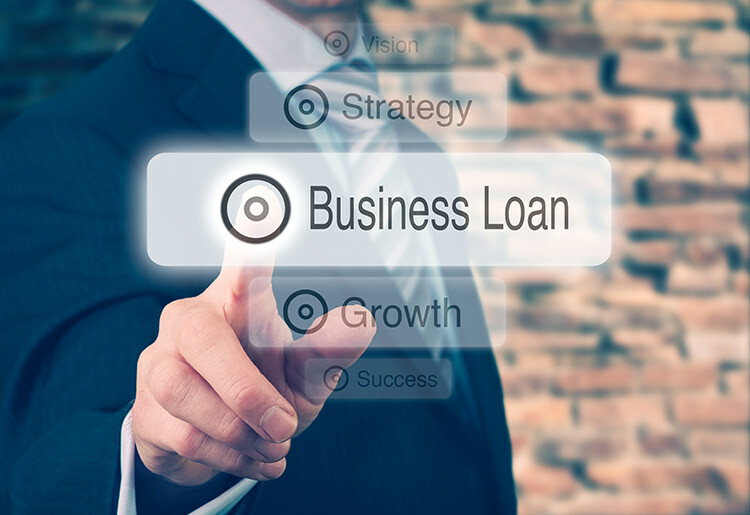 When you find yourself at a loss because of these challenges, a business loan could mean the difference between shutting down and pulling through a difficult period to enjoy a successful future. If you’re struggling to keep your business alive or itching to invest in growth, a loan can help. Take a look at what goes into applying for a loan, and decide if this is the right move for your company. Ride the waves of a dry season. The economy is in constant flux, and even successful businesses will feel the pinch at times. With a loan to support cash flow, you can ensure your company makes it through these dry bouts until the revenue starts coming in again. Restock a seasonal business. Some businesses only see revenue during specific times of the year. The rest of the year, their operations might be minimal or nonexistent. During those times, it is advisable to take out a loan to prepare for the upcoming seasonal boom. Take on new staff. During an upward trend, you might find it beneficial to expand your employee base to increase productivity and profits. New hires not only need to be paid but also insured for workers’ compensation, so you may need a loan to cover these additional costs. Purchase new equipment. If your company is enjoying a boom, it’s important to continue providing an excellent customer experience. Upgraded equipment can improve efficiency and allow you to serve a greater number of people. Expand your operations or open a new branch. When a company is seeing success, it’s a great time for expansion and an ideal reason for taking out a loan. Remodel your current location. Even if you don’t need a bigger space, refreshing the space you have can give your business a boost by improving the atmosphere and stirring up interest among customers. Launch a new marketing campaign. Whether it’s your yearly holiday sale or the grand opening of a new location, bumping up your marketing efforts with the help of a small business loan can bring in more customers and help maximize your ROI. Before you’ve even started the process of applying for a loan, you’ll want to break down your needs. Sit down and draw up a concrete business plan. If this is your first time creating a business plan, it is a good idea to meet with a financial advisor who can help walk you through the steps, enlighten you to some expenses or fees that you might not have been aware of and guide you in crafting a solid, thorough, and realistic plan. You’ll need to know how much money your company requires to meet its goals. Otherwise, you may find yourself even deeper in debt when the loan funding runs out. Analyze past performance and cash flow, and use this information to make projections for the future. Take marketing and conversion statistics into account so that you understand how customers are behaving now and how many new customers you can expect to gain in the future. Knowing how much money your company is likely to bring in over a given period of time shows you whether you can handle the payments on the loan size you need. Make sure you have a complete understanding of where the funds from the loan will go, how much will be allocated to the various areas, and what kind of a buffer your company will need before making payments and seeing a return on investment. With this information in mind, look at the available options to decide which type of loan will benefit your business. There are specific benefits to using each of these services, so research your options well before coming to any conclusions. Get details about loan sizes, term lengths, and interest rates, comparing each option to the analysis you made of your budget. Ask about qualification requirements and the fees or penalties associated with the loan. Once you decide on a provider, read all of the terms carefully or have a lawyer look them over before signing any final paperwork. Don’t let your business flounder into bankruptcy. Give your company the chance at success it deserves by getting in touch with one of the leading peer-to-peer loan providers available to you right now. Remember to explore all the options, ask questions, and be discerning when choosing a loan provider. For more educational resources, learn everything you need to know about building and growing your small business.